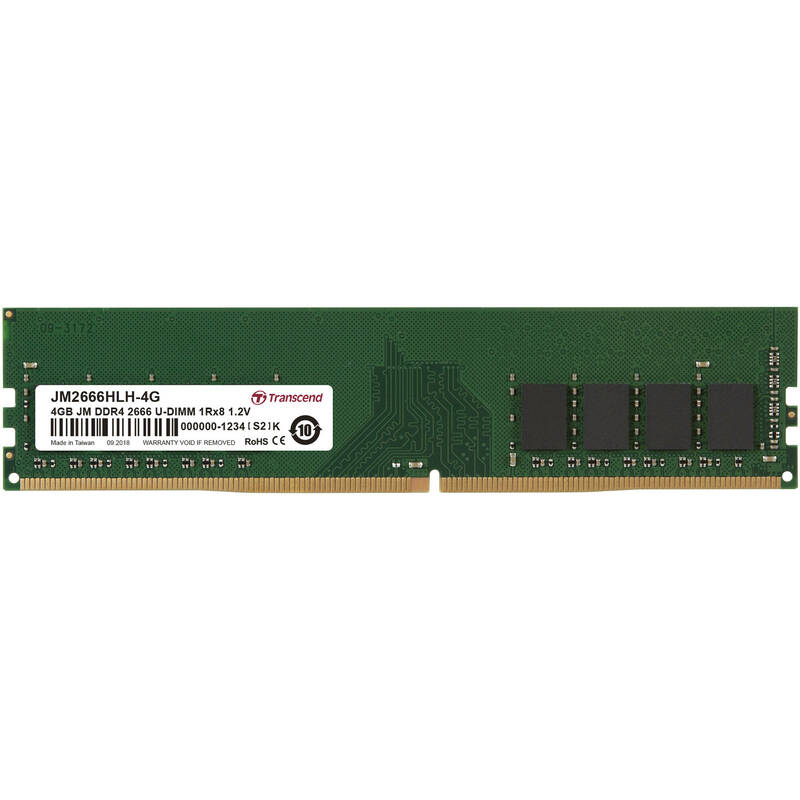 Boost your system's performance with the 4GB JetRam DDR4 2666 MHz CL19 UDIMM Memory Module from Transcend. Delivering speeds up to 2666 MHz, this single-rank module is a plug-and-play memory upgrade designed to improve your computer's start-up times, overall responsiveness, and ability to handle data-intensive applications. It is unbuffered, features a CAS latency of CL19, and works on systems with a 288-pin DIMM slot and a DDR4-enabled chip. Moreover, the module's nominal voltage rating of only 1.2V not only ensures cooler operation, but also reduces the electrical load on the memory controller for power savings of up to 40% versus standard 1.5V memory modules.